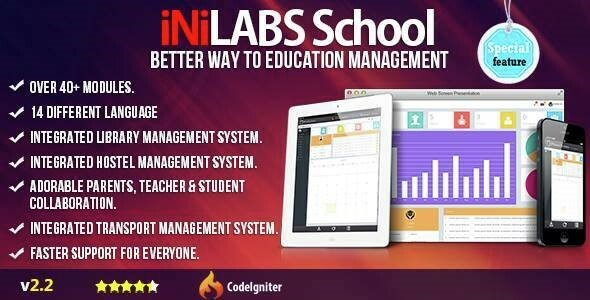 Inilabs v2.2 - School Management System Express - CODELISTPRO | Free Premium Scripts, Plugins, Apps Source Code. Inilabs school management system for all types or educational insttitutions like schools and colleges. Integrates and facilitates 6 types of user accounts of a school.